Heinz has said it is disappointed but respects the decision made by the Australian Federal Court that Heinz made the misleading health claim that its Shredz products were beneficial for young kids. 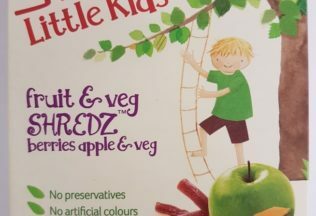 In the case, the Australian Competition and Consumer Commission (ACCC) alleged that Heinz falsely represented that Shredz was a healthy and nutritious food for young children through images and statements made on packaging. Shredz was a processed snack made with fruit and vegetable concentrates and purees, along with other ingredients. Shedz was discontinued in May 2016. Acting ACCC Chair, Delia Rickard, welcomed the court’s decision in its favour. “We welcome the Court’s decision today which shows that businesses that make false or misleading claims about the health benefits of products face serious consequences,” Rickard said. As reported by the ACCC, the Court found the combination of imagery and words on the packaging, including prominent pictures of fresh fruit and vegetables and statements such as ‘99% fruit and veg’, conjured up the impressions of nutritiousness and health. “Heinz’s Shredz products consisted of over 60 per cent sugar, significantly higher than that of natural fruit and vegetables. An apple in comparison contains around 10 per cent sugar,” said Rickard. Although the Court found Heinz mislead that Shredz packaging was healthy for small kids, the Court found that the ACCC could not establish that Heinz represented on packaging that Shredz were the equivalent nutritional value of fruit and vegetables, or that the products encouraged the development of healthy eating habits in children. “Heinz is committed to providing high quality food products and to communicating clearly and transparently with consumers on its packaging,” Lino further stated. A hearing on penalties and other orders sought by the ACCC will be held on a date to be fixed by the Court. The ACCC first initiated court proceedings over this matter in 2016. A Sydney lawyer has lost his bid to register the trademark “McKosher”. Oprah Winfrey is making her first foray into supermarket foods with help from Kraft Heinz.